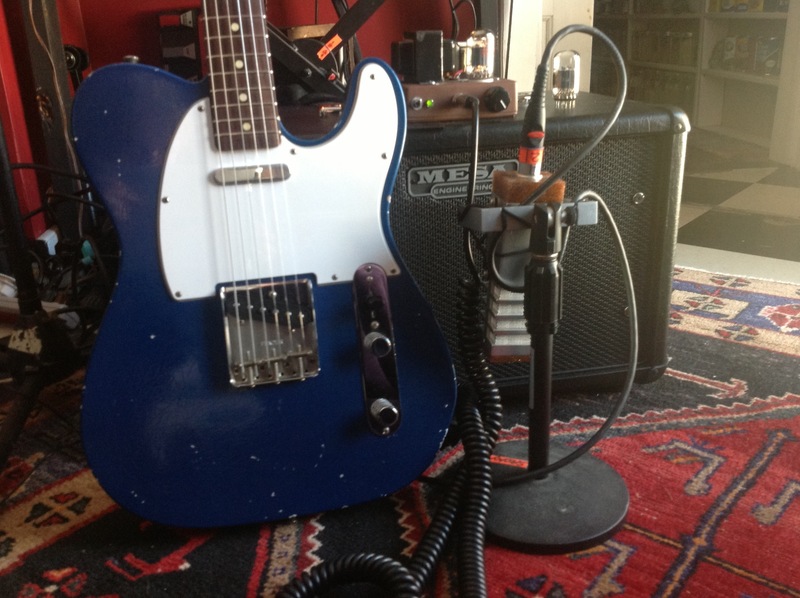 Home now recording some cool guitars for a bunch of new Suzanne Vega songs. Really loving this new guitar setup I picked up on our recent Suzanne tour of America. Funny how the pieces all clicked together when I got home. The guitar is a parts Telecaster that I got in Pittsburg Guitars. A local guy there build them from scratch and you can feel the love that goes into it. The guys in that shop are really helpful and did a set up for me before I left. Very good vibe. The thought made me nervous because I have several unpaid tickets in that department ,but I ended up on first name terms and they let me go with a handshake. The amp is a fantastic creation of a local tech at Richards Music in Lawrence Kansas. The cab is a 1X10 courses of the fab people at Mesa Boogie. Sounds great and it’s light as a feather. This entry was posted in Gear, Gerry Leonard, SPOOKYGHOST, suzanne vega and tagged gerryleonard, suzannevega. Bookmark the permalink. That’s very cool, love Pittsburgh Guitars. I’m going to have to check out those partscasters! Nice rig.